At two and a half years old, Elliot is training to lose the diapers. And we didn't push it either. We would occasionally let her "free ball", i.e. run around without a diaper, and noticed that she rarely had any accidents. It was just time. 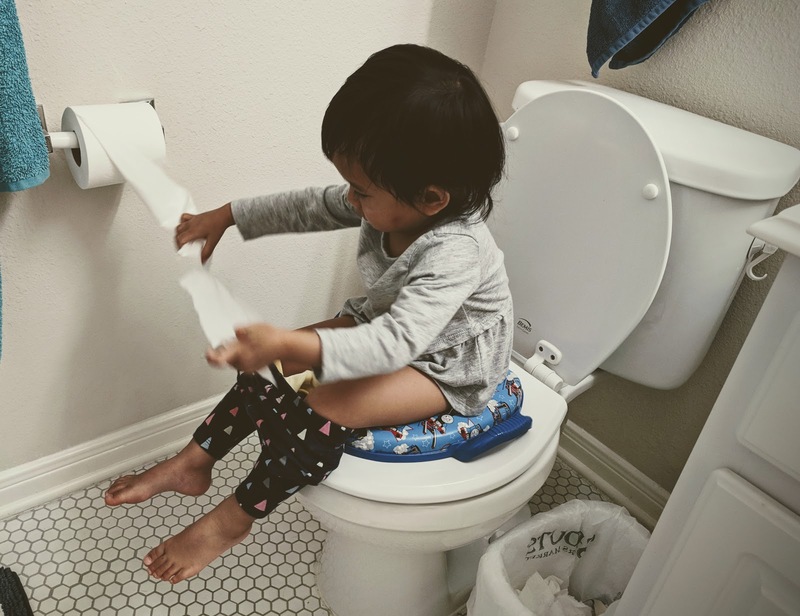 Granted, she still pees (a little bit) in her pants but she's so close to being 100% potty trained... and still at size 2 diapers! Thanks Elliot for saving us some money because you (and everyone else) are very costly.